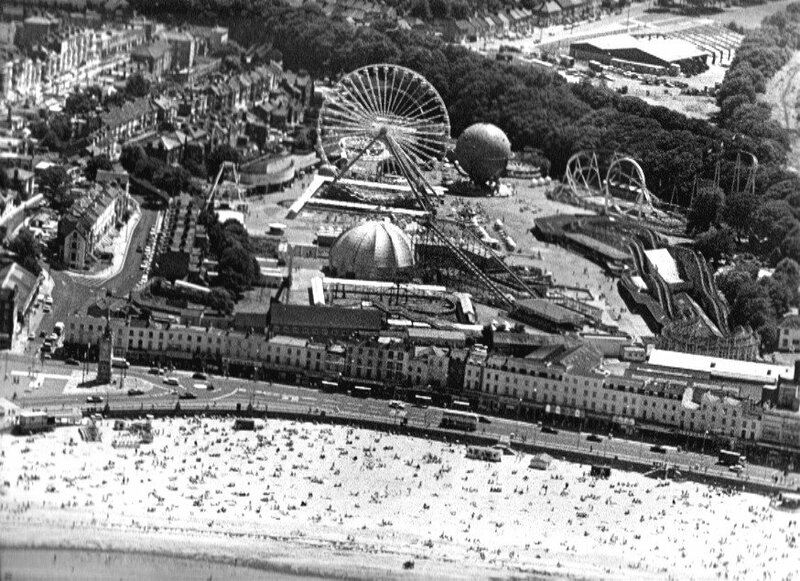 A nice photo of Dreamland in the “Old days” for you to look at, courtesy of reader, Steve Kilbee. I have put a larger copy in the photo library. Meanwhile, I’m trying to work out how many sacks of £50 notes I can squeeze into the back of my 'White van', a beaten-up Cessna 172, as some chap from Tonbridge has called and asked me for a lift to France and his baggage is a little heavy for EasyJet. Apparently, because he’s drawn all his life-savings out of the bank on a sudden impulse and plans to live abroad or so he tells me. I thought he might be a Cabinet Minister at first because they have been known to prefer cash too or so I’m told. Here's Charlotte road-testing the Dreamland Roller Coaster for BBC Radio Kent last Summer when it opened. Nice to see the intact Georgian frontage again. Is TDC ever going to insist that JG's demolition, sorry, I mean sad loss of a thriving business due to spontaneous combustion, is to be re-built to restore the frontage? If Mr Mills and wife Tessa can move £350,000 around through 5 different accounts without drawing suspicion on themselves, it seems unfair to chase old lags investing in retirement savings and making provision for their old age. 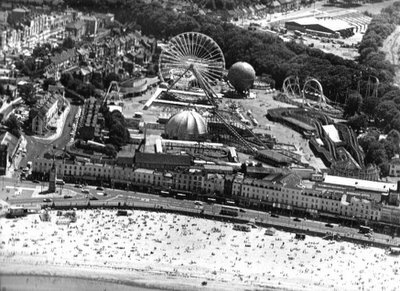 We printed this out A4 and were trying to decide what year it might have been taken, we reckon 1980 something from the rides present in the park and the vehicles on the road. Here's another aerial photo of Dreamlandand. Dreamland only takes a small part of the photo but it's a big pic so there's plenty to see. Probably 1992/93ish.